The surfaces we draw and paint on affect the outcome of our artwork. In this workshop we will apply colored gesso and acrylic grounds to paper and wood panel. We will draw onto these foundations as we explore the natural elements around us. You will paint with a pallet of acrylic pigments to layer washes and glazes. These new options will support and inspire your personal approach to painting and drawing. Corrine Loomis Dietz has a passion for investigating materials and techniques to develop the visual voice. She has received in-depth training in the technical aspects of paint systems, painting practices and the use of a variety of tools. 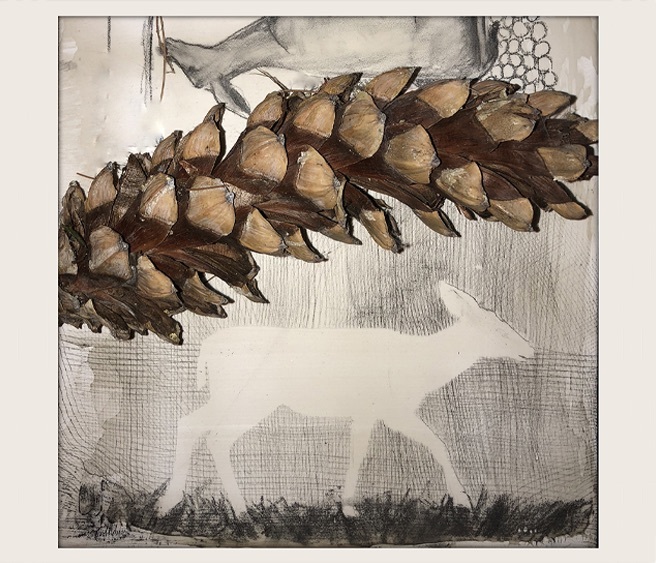 Corrine brings 30 years experience as an artist and instructor to help students gain a confidence with materials and strengthen their intuitive process.